Listen in to our first episode of Project You Radio with my co-host, Kristin Flannery. Get ready to tackle your New Year’s Resolutions, find out the latest entertainment news, divorce among celebrities and much more! Don’t have time to read, then we’ve got just the solution! Listen in to our latest Blog Talk Radio interview with party planner extraordinaire Shawn Rabideau, spokesperson for Celebrations.com who shares some great tips for entertaining your guests, festive decor, recipe, drink ideas and much more. Check out this link to see additional holiday tips featuring experts from Celebrations.com. And here are some simple how-tos from Shawn Rabideau that you can be use year round. Plus, our co-host for the day, Kristin shares the inside scoop on her “Gulliver’s Travels” in person roundtable chat featuring Jack Black, Jason Segal and Emily Blount. And, I fill listeners in on my interview this week with Sigourney Weaver and my once in a lifetime meet and greet with Donny and Marie. So what are you waiting for? Get ready to listen, learn, laugh and enjoy! Once you’ve listened in to our show, please comment now with your name and email address! Five lucky winners will receive a $75 gift certicate to 1-800-Flowers.com so comment now and you could be a winner! 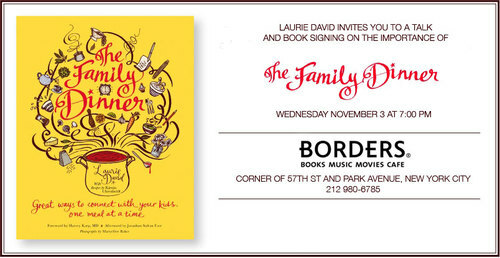 This week, we had a fabulous interview with Laurie David, activist, mom and author of The Family Dinner – a brand new book that hits stores November 3 and features everything from anecdotes about Laurie and her family (including her ex husband Larry David), recipes from her longtime family cook as well as friends and relatives. Plus, The Family Dinner has beautiful photographs throughout (check out Laurie’s adorable nephew Logan serving up pizza) as well as tips on how you can get your family back to the dinner table with great conversation starters, games and more. Listen in to our recent Blog Talk Radio interview with Laurie and if you live in the tri-state area and would like to meet her in person, she’ll be in New York City on November 3 (invitation is above). 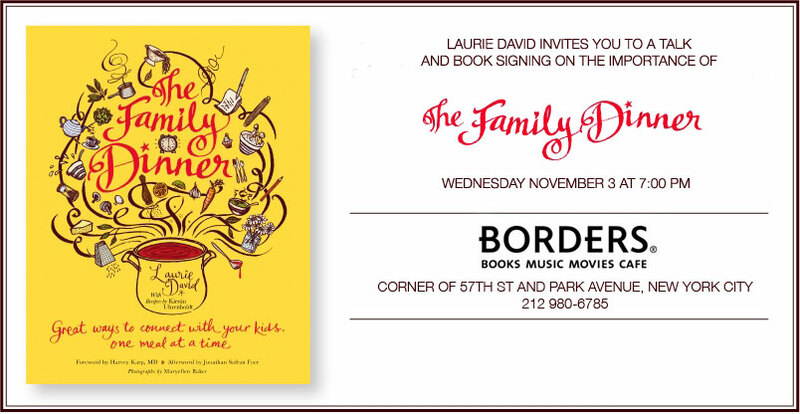 Join her for a lively discussion and book signing and if you can’t make it, you can visit the The Family Dinner website and share your own recipe ideas and stories too. Plus, if you’d like to enter to win a copy of The Family Dinner, comment below with a favorite suppertime story. Make sure you leave us your email address too so that we can contact you if you win! Listen in to our latest Blog Talk Radio interview with Heather Vandenberghe, a marketing executive who lives in New York City with her daughters Lila (6) and Elle (4). 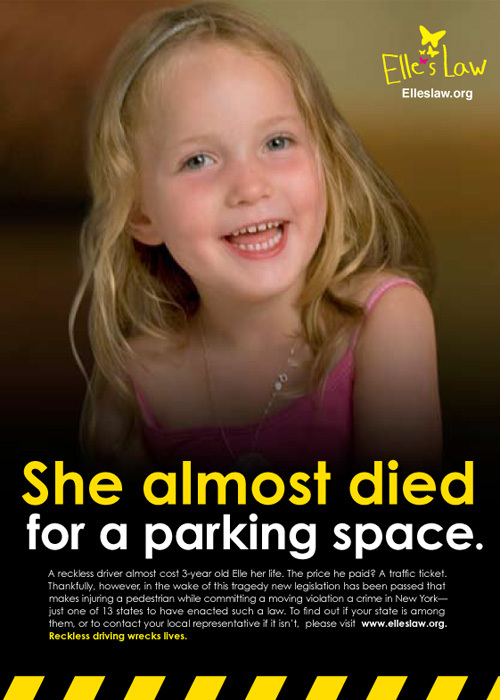 After young Elle was struck down on the way to pre-school by a reckless driver, Heather successfully campaigned for the passage of Elle’s Law,which raised the penalties for drivers who pedestrians while violating traffic laws. The story of Elle’s Law has been reported in the New York Times, the New York Daily News, and on Glamour.com; more information about the campaign can be found at EllesLaw.org. Listen in to our latest podcast featuring Kristin Flannery, our west coast Role Mommy correspondent who got the chance to attend an exclusive junket for Despicable Me. 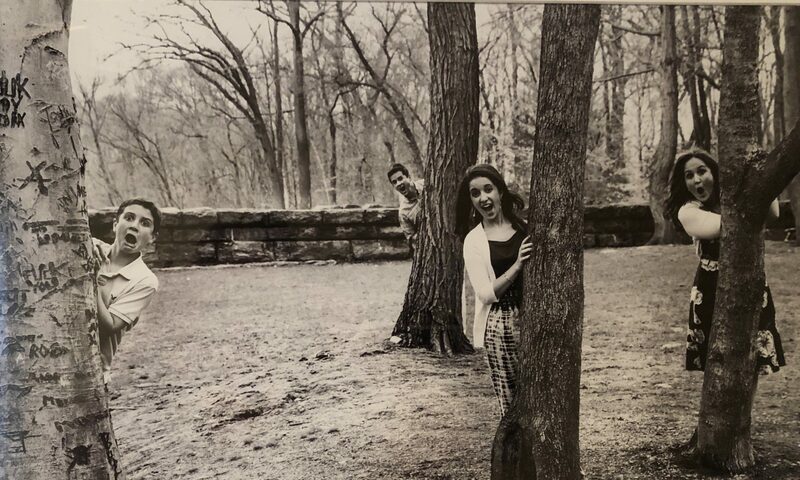 While we’re sharing the interviews with Julie Andrews, Steve Carrell, Miranda Cosgrove and Jason Segal next week, Kristin gives us a sneak peak of her experience at the Four Seasons Hotel! Plus, we talk about all things summer and why I hate summer shorts season; great kids activities, getaways for moms and much more! Grab a cup of iced coffee and get ready to laugh. Our latest Blog Talk Radio show featured a double dose of inspiration when we got the chance to speak with actress and playwright Dulcy Rogers and female karate expert and entrepreneur Dawn Barnes. Actress/playwright Dulcy Rogers has performed in New York and regional theatre, as well as in several new plays off Broadway. After moving to Los Angeles she guest starred on many sitcoms including “Frasier”, “Wings”, “The Savages”, “Pursuit of Happiness,” “The Drew Carey Show,” “The Caroline Rhea Show” (in which she performed and wrote) as well as acted in such movies as “Father of the Bride II”, “Rude Awakening”, “Certain Guys” and “Almost Home” — a short film she wrote herself, which was seen around the country on the film festival circuit. 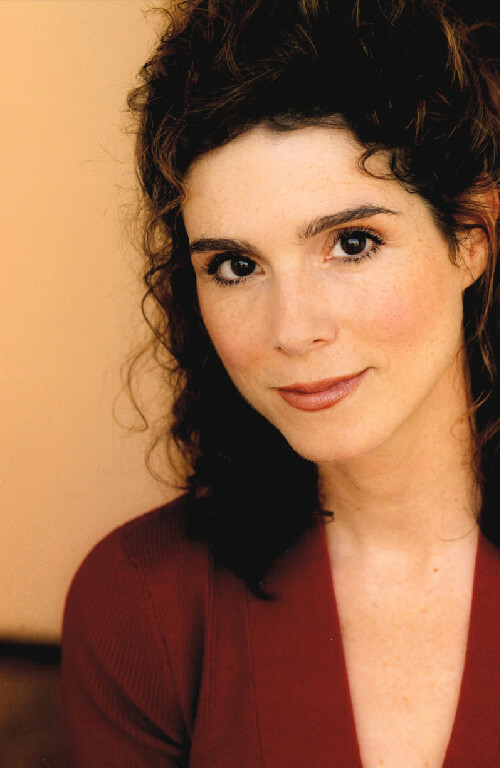 She wrote and performed her one woman show Ruth Draper and Her Cast of Characters, as well as developed two shows for television–one at the WB for herself and later another for her husband Diedrich Bader at CBS. Her latest play, “I Am A Tree” is currently playing at the Lillian Theater in Santa Monica. Dulcy shares amazing stories about her childhood and how she has managed to pursue her passion for writing and acting throughout her life. Dawn Barnes (www.dawnbarnes.com) is the owner of Dawn Barnes Karate Kids, a karate school that teaches children the physical skills of karate while focusing and instilling self-esteem in each child. A former Hollywood Stuntwoman Dawn has 7 schools in California with over 2000 students, making her school the largest Karate school for kids in the country. Her schools gross over 5 million dollars a year (she opened her first school with her credit card)!!! Michael Jackson’s children are always photographed leaving her school, Arnold Schwarzenegger’s children studied with Dawn and many other Hollywood heavyweights. Dawn has created an anti-bullying technique she teaches all of her students. Being a mom herself, she believes children who suffer from low self-esteem are targeted by bullies. Listen in and be inspired! Dr. Jim Sears Pays Role Mommy A House Call! This week, we got the chance to ask all our kid related health questions to one of our favorite pediatricians on the planet, Dr. Jim Sears! 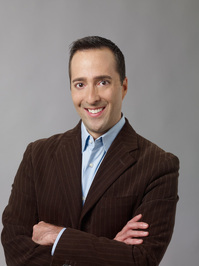 If you’ve been hiding under a rock, Dr. Sears is one of the co-hosts of “The Doctors” – the nationally syndicated talk show that pretty much has me riveted every time viewers ask the panel of doc hosts questions relating to all aspects of their lives – from plastic surgery to pediatrics…gotta love it! Dr. Sears appeared on our most recent Blog Talk Radio show and tackled a host of topics – from immunizations, to skin rashes to how to prepare your child (and yourself) for sleepaway camp. Listen in and grab a pen and paper – because you might want to take notes! 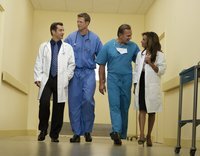 For even more great advice, catch Dr. Sears and the team of TV docs weekdays on the The Doctors. We’ve got some great interviews on tap today, including this one with Paralympic medalist Caitie Sarubbi and her mom, Cathy. The pair, who hail from my old neighborhood, Brooklyn, NY, share how Caitie, who is visually impaired, became involved in competitive skiing and managed to land a spot on the Paralympic team along with an acceptance to Harvard University – she found out both in the same week! While her mom struggled to figure out how she was going to find the way to bring her entire family out to see Caitee compete, she was thrilled to learn that Procter & Gamble planned to sponsor the families of Paralympic and Olympic athletes – bringing them to the games so they could support the athletes during one of the most exciting moments of their lives. To find out more about P&G’s incredible efforts to support moms and to share your own story too, visit their website, ThankYouMom.com and listen in to our interview too! Since my kids are diehard Disney Channel fans, I was happy to hear that a brand new movie is about to launch featuring “Wizards of Waverly Place” star Jennifer Stone. “Harriet the Spy: Blog Wars” premieres Friday, March 26 on the Disney Channel and brings the classic tale into the technological age as Harriet competes against fellow students to be the official class blogger. The film was penned by mother-daughter team, Heather Conkie and Alexandra Clarke. Internationally acclaimed writer, Heather Conkie, gave her daughter, Alexandra Clarke, Harriet the Spy when she was a child and it represented a huge turning point in her life. She bought a notebook like Harriet and started writing everything down; from that point on she aspired to be a writer. Writing the film has been an incredible bonding experience for them and the adaptation has brought them full-circle. We recently got the chance to speak with Alexandra when she joined us as a guest on Blog Talk Radio. Listen in as she shares how she got her start as well as the excitement of collaborating on her first official entertainment project with her mentor and Role Mommy her mom! Hope you and your kids tune in on Friday, March 26 at 8pm ET/PT to Harriet the Spy: Blog Wars…I’m sure my kids will be front and center!! !